It takes time and effort to care for a roof. That’s why professional roofing contractors have years of training and experience. They can easily spot problems since they know where to look. Homeowners on the other hand, may need some guidance. Here are the key steps done during an inspection, and why each is important. Before an inspection begins, you should know the specific details of the roof you are checking. You should know your roof’s age, material and key components. List down all of this information. This will help you understand your roof and spot key problems early on. For example, a metal roof with faded paint can be vulnerable. An important point of observation is from the outside. Here, you can see your roof’s shape and shingles. There are many ways to observe, either via binoculars or on a step ladder. No matter what, we recommend not stepping on your roof since you could damage it and even hurt yourself if you fall. After checking outside, it’s time to look inside your home. Any residual damage to your structure will make its way inside. For example, roofing companies are wary of dark stains on the walls because they are a sign of leaks on your roof. These are the key components for the interior. If any of these areas have stains, cracks or mold forming, you should get them checked immediately. Once you find any damage, you need a professional to follow up. 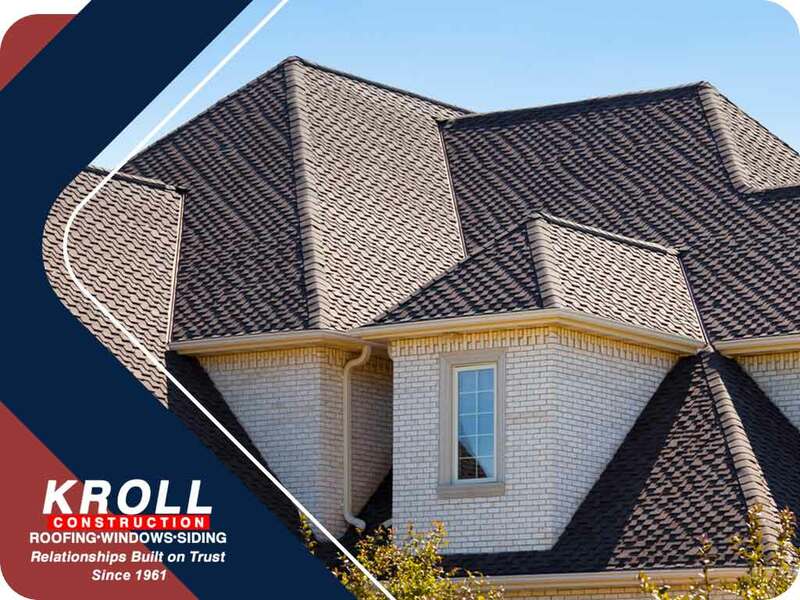 At Kroll Construction, we are trained experts ready to help you with any roofing issue you may have. We can look into your roof, explain the situation and help you fix it. Learn more about our roofing services today by calling (844) 688-9632. Our contractors are ready to serve residents of Michigan.